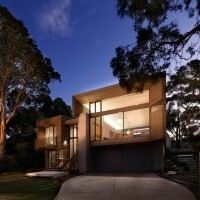 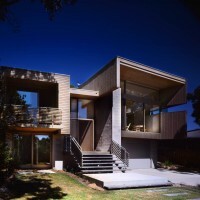 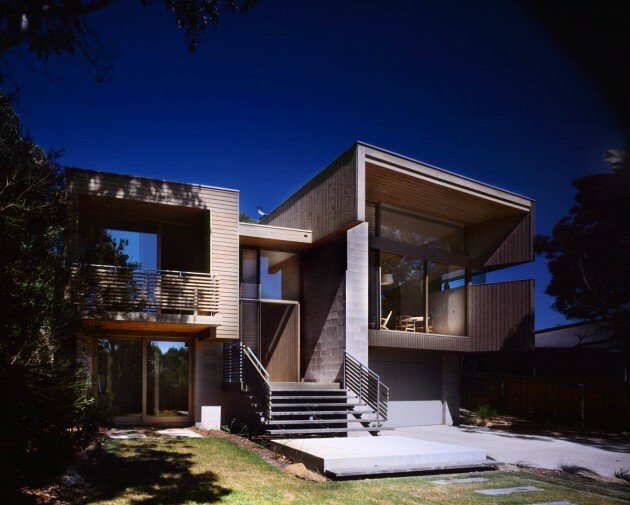 Studio101 Architects designed a beachside home in Point Lonsdale, Australia. 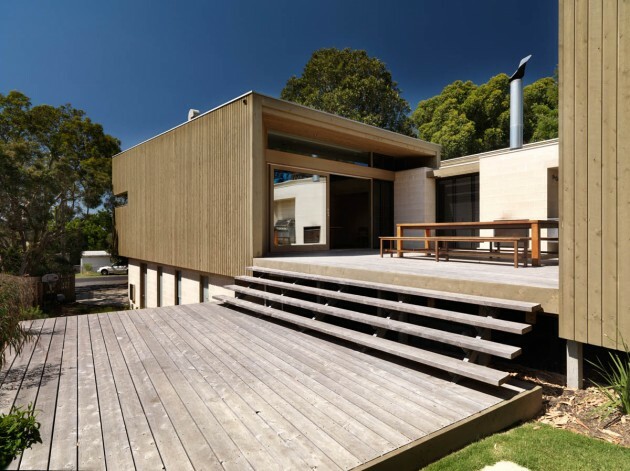 This permanent beachside home, designed for a young family is located in an established, heavily treed native coastal environment. 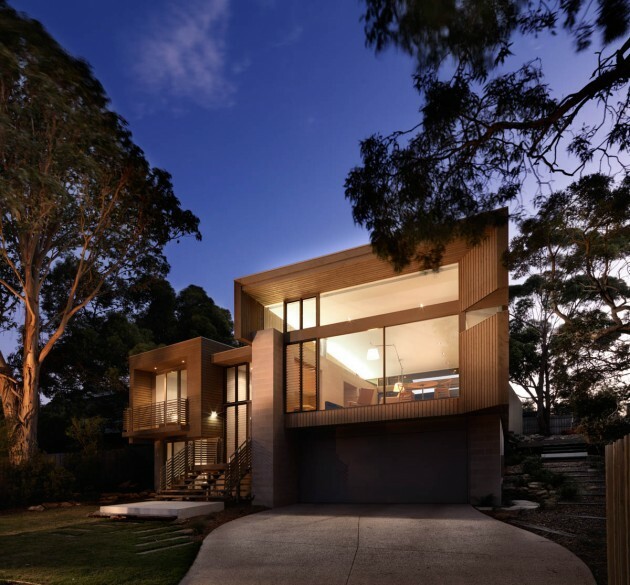 The rectilinear nature of the site and natural typography encouraged a simple yet highly efficient floor plan incorporating three pavilions linked by a continuous circulation spine. 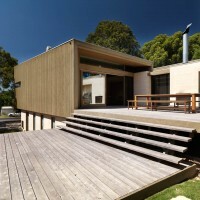 The eastern pavilion houses the sleeping and bathing zones while the living zones are orientated to the north. 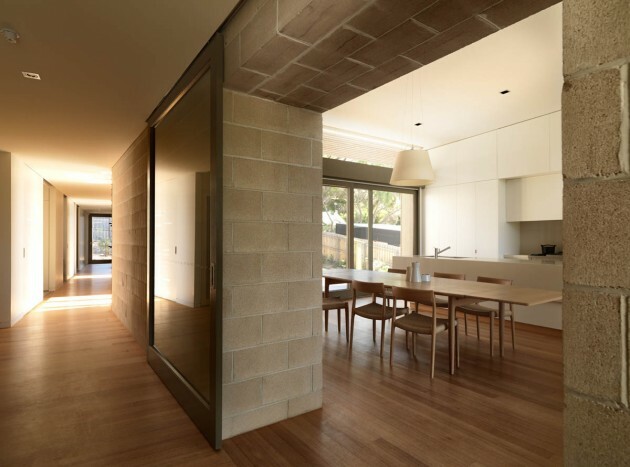 The primary living space contains the kitchen/dining/living and floats above a masonry podium, cranking towards true north to maximise sun exposure and frame the elevated treed outlook. 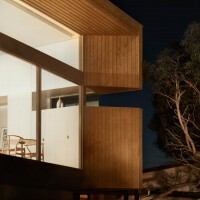 Each pavilion is wrapped in a skin of White Cypress timber that visually folds and interlocks with the expressed concrete block work blade walls. 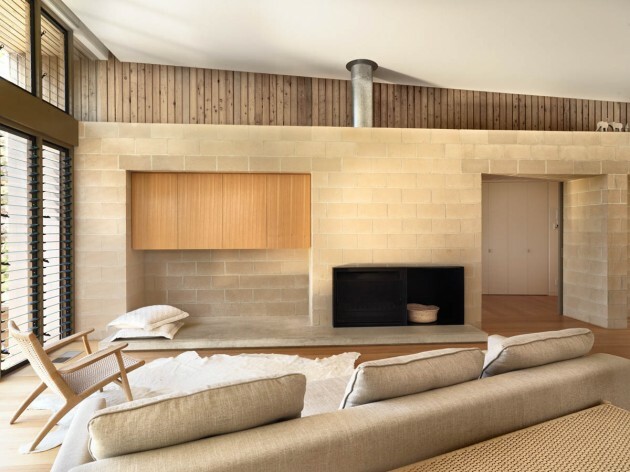 The primary block work spine provides a continuity of materials from outside to within allowing an honest and space-defining structural element that also provides for thermal mass to the internal environment. 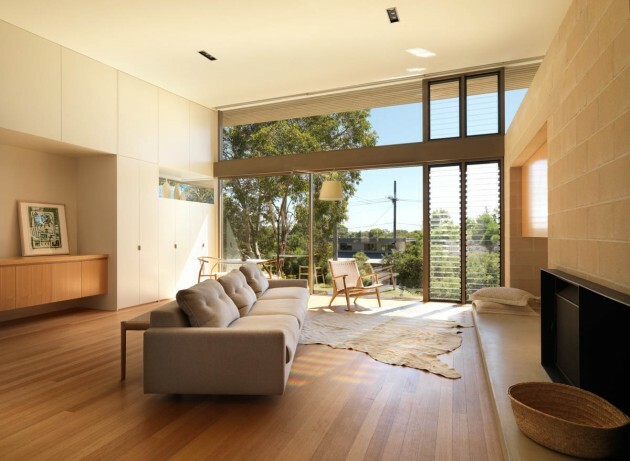 Cross flow ventilation is maximised through a combination of operable systems including sliding glazed doors, louvre windows, along with windows at both high and low levels. 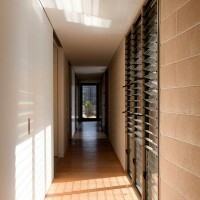 The central courtyard allows the house to breathe and provides varying degrees of openness and intimacy, light and fresh air. 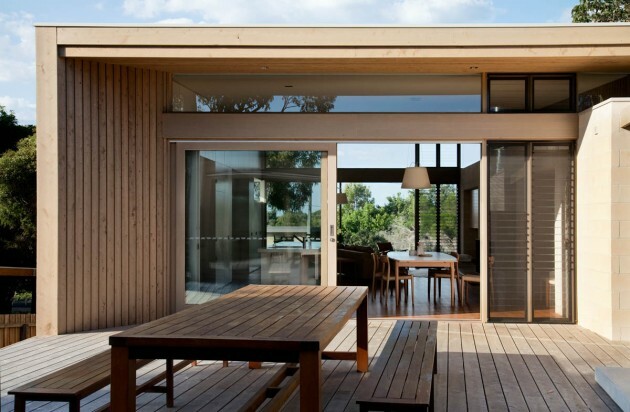 Sustainable living solutions include double glazed windows with Argon gas, rain water is harvested into a water tank, grey water is reused for irrigation while sustainably managed timber and low voc coatings are used extensively. 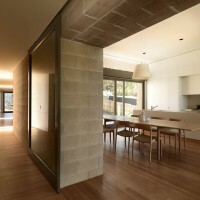 The result is a home that harmonises and integrates peacefully within its natural context.